No sooner had Paddy Doherty left the Celebrity Big Brother House victorious, than a new array of occasionally bizarre Housemates were introduced to us by Channel 5. I reckon they are only doing it to “wind-up” the readers of certain newspapers, lol, there are already loads of people moaning in certain papers, which I think is hilarious- If you don’t like a program, don’t watch it. Of course People have a right to express themselves if they see some crime or injustice and they want to speak out about it, the internet is a good way of bringing them to people’s attention and getting something done about them. But TV programs can be switched off, unless of course, TV programs are themselves the perpetrators, Big Brother have themselves engineered some really nasty situations in the past which have made for uncomfortable viewing- Such as the Emma/Michelle/Victor confrontation or the Jade Goody/Jo O’Meara/Danielle Lloyd/Shilpa Shetty Confrontation. I reckon scenes like these do not make very good viewing. Of course some people will moan that without confrontation the program will be boring. Personally I don’t find that sort of thing appealing or entertaining. On Saturday 10th and Sunday 11th September, RAF Cosford will be having a Battle of Britain weekend to mark this important event in Royal Air Force History (From 10:00am-6:00pm Daily). There will be a flypast by the Battle of Britain Memorial Flight Spitfire on Saturday (Weather permitting). There will also be a real life working Merlin & Griffon Engine being Demonstrated as well as a chance to see how a real life Ops Room operated during World War II. People will also have the chance to find out what it was like to be a 1940’s Spitfire Pilot, when they have the chance to sit inside a replica Spitfire, complete with Flying Jacket and Goggles. They will also have the chance to meet Battle of Britain Veterans, who will be explaining what it was really like to be in the RAF During the Battle of Britain Era. In addition There will be a range of 1940’s military vehicles on display throughout the weekend, Plus an exhibition of 51 paintings by the Guild of Aviation Artists, depicting The Battle Of Britain, will be on display in one of the Hangars. RAF Cosford has also recently taken delivery of its latest acquisition, an RAF Hercules C130K Mk.3 transport aircraft, which is currently undergoing a short period of maintenance. 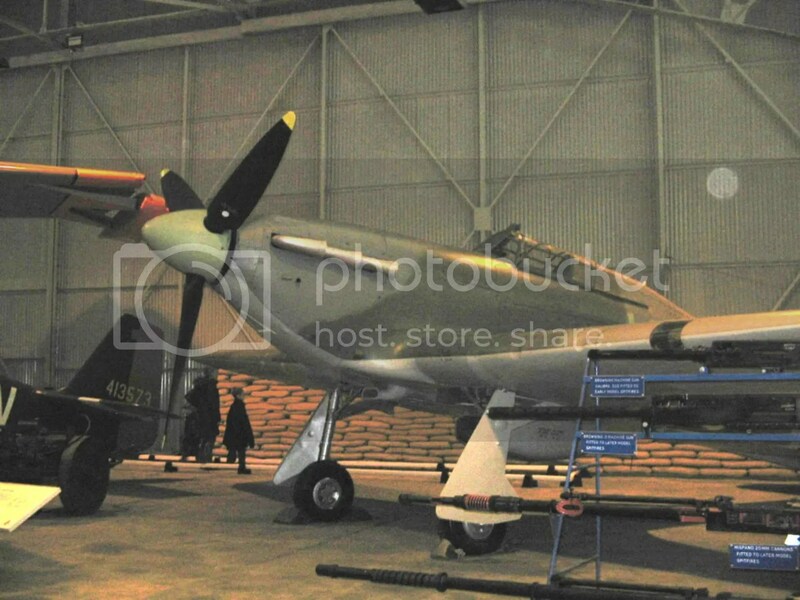 before being moved into the RAF Museum and going on permanent display as part of the Museum’s collection. Personally I’m hoping that RAF Cosford also take delivery of a Concorde in the future, that would be brilliant. I am not sure of the current situation regarding these magnificent planes, or whether there are any left, or if they have all been “snapped-up” by eagar Aerospace Museums the world over. But it would be excellent.